Given the rapid rate at which income inequality and low-income displacement is transforming the social conditions and power dynamics within neighborhoods throughout San Francisco, this thesis seeks to answer the following questions: To what extent has the Tenderloin resisted the forces of gentrification that have meanwhile infiltrated bordering neighborhoods such as Union Square and Mid-Market? What are the physical and social design qualities of the Tenderloin neighborhood that have allowed it to resist whole-sale changes to its function as a provider of affordable housing and shelter for San Francisco’s most marginalized and vulnerable populations? To what extent does the urban form of the Tenderloin allow for continued resistance of gentrification, and what role(s) does it allow for planners and designers to assist in curating this continued resistance? This thesis begins with a field study of the neighborhood’s public realm, undertaken in January and March of 2017. The resulting observations and conversations with public realm users served as the primary data source for the research, along with secondary data sources on the Tenderloin’s development history from its reconstruction after the 1906 earthquake to the present. From these findings, the thesis concludes with a series of public realm design recommendations for preserving the Tenderloin as a sustainer of low-income people and as a shelter for those beyond the scope of the tech industry’s viewfinder. Currently surrounded by parking lots and vacant properties, the San Joaquin Metro station has the potential to serve as a fully integrated multi-modal transfer point where neighborhood-oriented commercial could be supported by new residential density. Using this premise, our class developed a set of development pro formas to better understand the potential for public private partnerships on and around the station area. A catalogue of the PUDs built in Davie, FL between 1973 and 2014–demonstrating the evolution of house, block, and neighborhood scales that took place over the decades. As the scale of planned unit development increased the availability of land zoned for residential diminished, leading to an increase in agricultural to residential land use conversions. Given that water level rise will make some parts of Broward County uninhabitable, new density in relatively “safe” parts of the county is crucial for future residents. This proposal explores how some of this new density could be encouraged in Davie, FL along Davie Road, a relatively underutilized corridor, in coordination with larger resiliency planning efforts around the County. 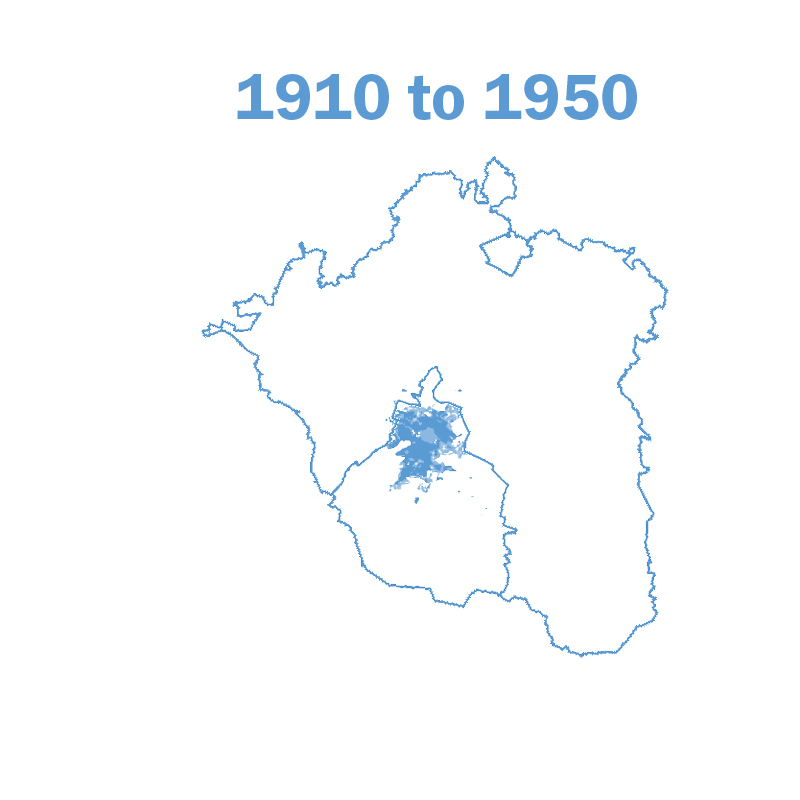 With water level rise taking place gradually, incremental density increases along the corridor will allow future development to be responsive to climate change, demographic, and economic conditions that are not yet known. 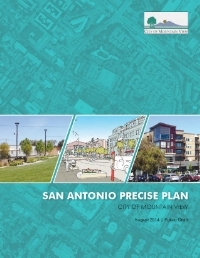 The San Antonio Precise Plan contains development standards; allowed land use uses; architectural design guidelines; and identifies how new public improvements will be funded. An alternatives analysis and informative guide to the proposed land use, urban design, and circulation concepts for the Plan Area with an interactive section for members of the public to provide input and preference for the presented concepts. An existing conditions report examining land use, circulation, and urban design characteristics of a shopping center and surrounding neighborhood commercial area located between the San Antonio Caltrain Station and El Camino Real. Community-outreach driven plan to create new opportunities for transit-oriented development near the Walnut Creek Bay Area Rapid Transit Station. Incorporates place-making design techniques to enliven an area lacking a strong community identity. An existing conditions report examining land use, circulation, urban design, economic, and environmental characteristics of the West Downtown Plan Area. A guidebook for a Self-Guided Transit Oriented Development (TOD) Tour of possible development examples near the Walnut Creek BART station. At each location community members could experience for themselves how homes, shops, and restaurants can be designed around walking, bicycling, and transit, while still respecting the surrounding existing neighborhoods. A station area plan which examines new transit-oriented development opportunities for an area renowned for its eclectic mix of creative arts and manufacturing industries. This chapter of the Plan includes innovative form-based development and streetscape standards that will provide realistic guidelines for developers while still addressing the community’s concerns related to development intensity and design quality. Research project examining the parallels between the Charter of the New Urbanism and the observed conditions of an existing New Urbanist development in Silicon Valley. Data was gathered empirically through field observations, surveys, and community workshops. Employed a variety of cognitive mapping techniques to understand residents’ relationships with their built environment. Used maps, graphs, and other icons to help explain research findings visually.